During the Christmas holidays, and just before 2017 ticked into 2018, we partnered up with environmental experts NuaTree to plant 1500 native Irish trees on Emerald Heritage soil. 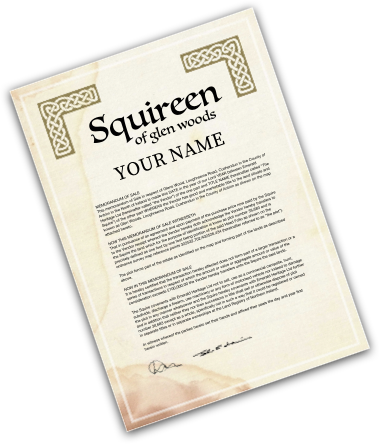 More specifically, the land proudly owned and shared by our Squires, Squiress and Squireens. As the pictures below reveal, it was cold, icy and the land twinkled in the sun with a dusting of snow, but that didn’t stop the team working throughout the day to aid Ireland’s faltering woodland system. The process began a few weeks beforehand when local farming sheep were herded onto the land for a period of intense grazing. This process stripped the land of heavy grass and prepared the site for upcoming tree planting. On planting day we set to work, as instructed by our partners NuaTree, and planted 1500 new, native whips. The native species planted were Scots Pine, Sessile Oak and Pedunculate Oak. The benefits are, at a minimum, three-fold for the land and surrounding area. On a broad level, the newly planted trees will sequester up to 230 tonnes of carbon. On a small scale the new native trees will connect previously separated ancient and existing woodlands on either side of the land, as well as promoting a greater species diversity in the years to come. The trees, specifically the Scots Pine, will also help to boost the numbers of the local, and at risk, Red Squirrel! All of the actions listed above, jointly delivered by Emerald Heritage and NuaTree, is designed to achieve one key ambition, to grow Ireland’s native woodlands for the long-term benefit of everyone. Currently, Irish native woodlands account for only 1% of Irish land and this has had a devastating impact both environmentally and within communities. Our aim will always be to grow native Irish woodlands but the progress will be slow, steady and measured throughout. With that ethos we, alongside NuaTree, understand that this small plot of 1500 trees won’t solve all of Ireland’s environmental problems all at once. It’s only a small part of our much bigger plans and we hope that you stick around to see what happens next!